Catholic schools across the Albany Diocese are gearing up for the annual celebration of Catholic education, with this year’s National Catholic Schools Week, which takes place Sunday Jan. 27 to Feb. 2. Since its inception in 1974, the National Catholic Education Association (NCEA) has sponsored the weeklong celebration, which is dedicated to celebrating the multiple opportunities and resources available to students through a Catholic education. Special Masses, school events and activities are offered each day of the week to commemorate Catholic schooling and show the value that a Catholic education provides young people and their communities. Bishop Edward B. Scharfenberger is scheduled to celebrate the Catholic Schools Week liturgy to kick off Catholic Schools Week in the Albany Diocese on Sunday, Jan. 27, at 2 p.m. at the Cathedral of the Immaculate Conception in Albany. According to the NCEA, approximately 6,000 Catholic schools are currently operating nationwide. In the Albany Diocese, 26 Catholic schools are currently serving elementary, middle and high school students. This year’s Catholic Schools Week theme is, “Catholic Schools: Learn. Serve. Lead. Succeed.” NCEA oversees and sponsors the national celebration, and decides each year’s overarching theme. More information on ways schools and families can celebrate the daily themes, visit the NCEA website. 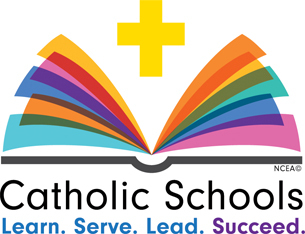 Students, parents and communities members can also follow national Catholic Schools Week events on social media with the #CSW19 hashtag. More information about upcom­ing Albany diocesan school events for Catholic Schools Week visit the Catholic School Office website. I appreciate your information that Catholic schools are able to help students pair critical thinking with their faith. It would be amazing to send my daughters to a school that will help them be strong in the faith. We'll start looking into all-girls Catholic schools tonight. https://www.setonhs.org This comment has been hidden due to low approval.